Be a part of the only LGBTQ accelerator in the country! An experience like no other, the StartOut Growth Lab offers 6 months of prime San Francisco office space, community, mentoring, education, and networking opportunities for young companies founded or co-founded by LGBTQ entrepreneurs. 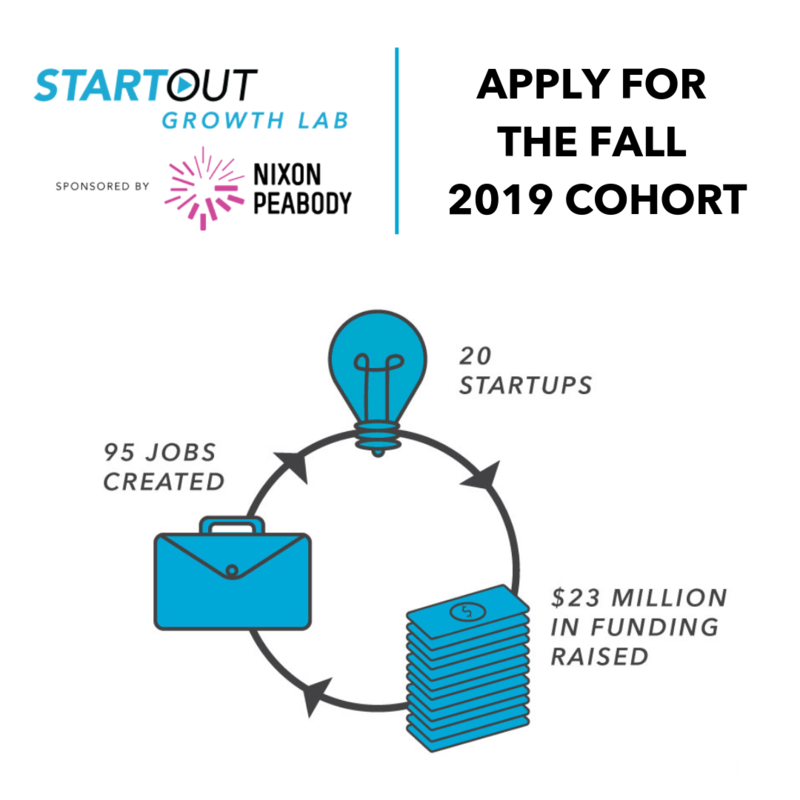 Launched in 2017 in partnership with Nixon Peabody, the StartOut Growth Lab has graduated 20 companies who have collectively raised $23 million in funding and created 95 new jobs. Applications for the Fall 2019 Cohort will be accepted April 5 – May 13. You can find more information about the Growth Lab’s eligibility criteria as well as apply here. Time and time again, we hear from our graduates that their cohort-mates and the Growth Lab alums were pivotal in motivating and driving their success. Together you will celebrate the highs, commiserate the lows, and offer feedback and expertise to one another. Both you and your company will benefit from the tight-knit community created in the StartOut Growth Lab. A mentor specifically selected to address your needs. Monthly lunch and learns tailored to meet the needs of each cohort class. Cohort participants relocate to One Embarcadero Center in San Francisco. This premier downtown address boosts each startup’s brand image—serving as the perfect location to invite potential business partners, customers, and new hires. If you’re an LGBTQ founder who wants to take their business to the next level, we encourage you to apply for the Fall 2019 Cohort.